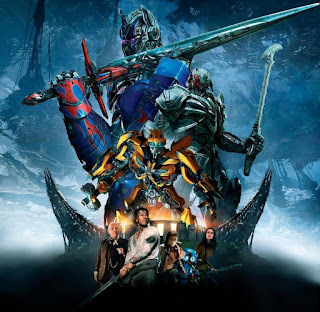 1) Here is a new poster that certainly seems to be designed to make long time fans think "Unicron". Still nada to back this long desired fan theory. 2) An unconfirmed rumor indicates the IMAX version of the movie will be 2h 32 minutes so 4 minutes longer then theatrical version. 3) Reno Wilson has tweeted confirmation that he will voice a character in Transformers 5 which I think makes him the only actor besides Peter Cullen to do all five movies. In previous movies he voiced Frenzy, Mudflap, and Brains. No indication if he returns as Brains or will voice a different character.